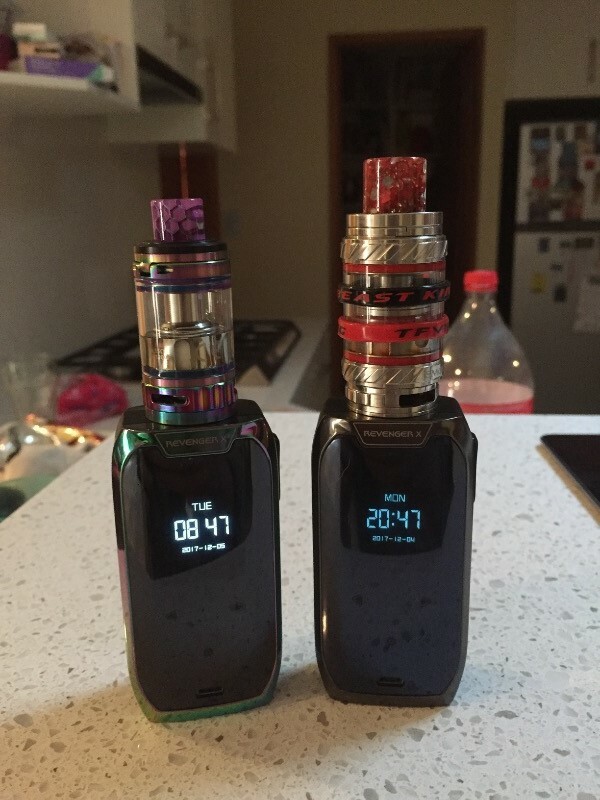 The Vaporesso Revenger X Mod is a stylish dual-battery device (batteries sold separately) capable of outputting up to 220 watts of power. Featuring support for Temperature Control vaping with Nickel, Titanium and Stainless Steel coils, as well as TCR mode, the Revenger covers all bases. 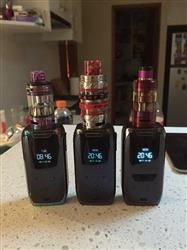 Revenger x is a great mod I personally myself have 2 of them their easy 2 use, the touchscreen is a great addition to this model gives it a nice sleek face line colour choices are nice, currently I'm running mine with a smoke cloud beast king tank handles it like a champ my other 1 is running on the valyrian tank then I have a third 1 just the normal revenger and that runs with a crown 3 tank anyways the x I'm running in the 90 watt area except with the beast usually by middle of day it's round 100+ and runs with ease so if ya looking for a good looking mod fits the hand comfortably and just has this sleek look 2 it then this is the mod 4 you.